The Scorpion is one of our most versatile models. This medium phaser is great for either indoor or outdoors and, in particular, Close Quarter Battles (CQB). 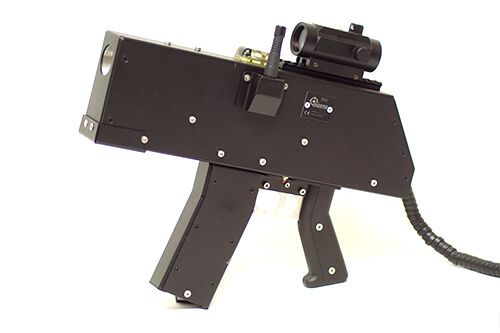 In fact, since it does not have a protruding barrel it is ideal for indoor laser tag arenas. Imagine a futuristic or a post-apocalyptic theme! It has a metal construction with a full trigger mechanism. It also comes standard with an integrated Red Dot scope.